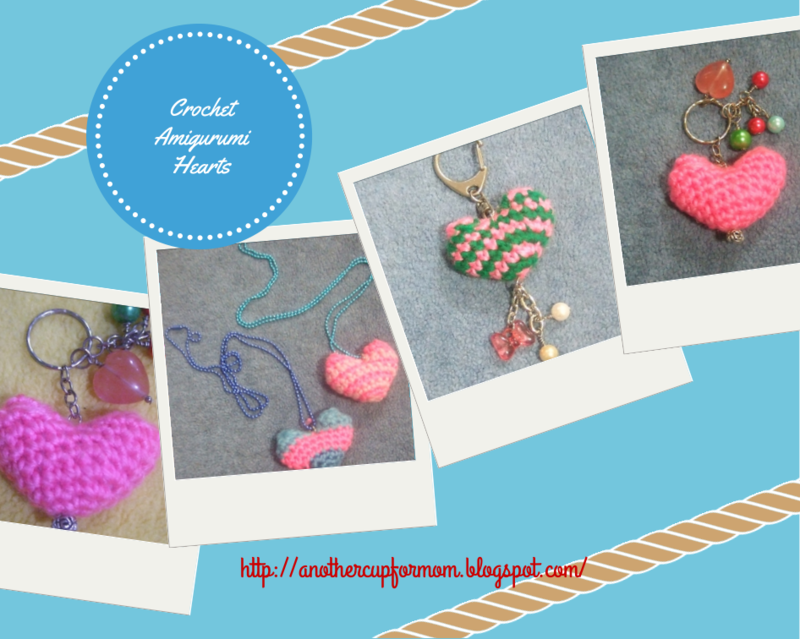 Just wanted to showcase my amigurumi heart charms and I love how they look. Made them in preparation for the coming Valentine's day. This was my first attempt making amigurumi. I used Familia acrylic yarn and added some beads and chains.